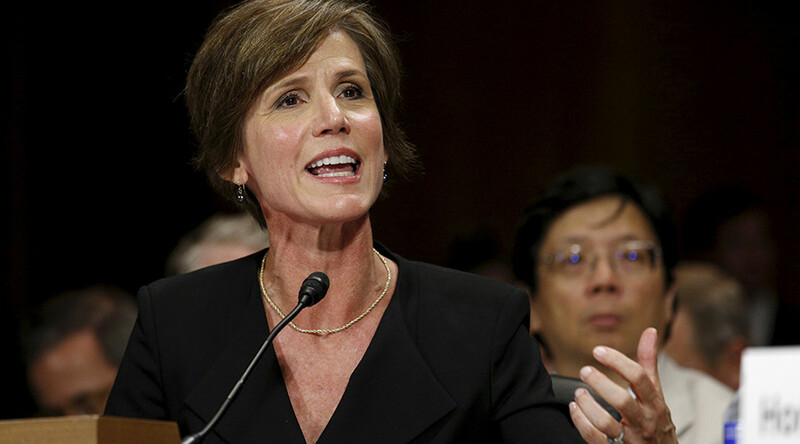 Acting Attorney General Sally Yates instructed Justice Department attorneys to not legally defend President Donald Trump's executive order on refugees and immigration. Yates, an Obama appointee, is expected to be replaced by Trump's pick, Senator Jeff Sessions (R-Alabama), in the near future. Meanwhile, courts in California, Massachusetts, New York, Virginia and Washington state have already been presented with cases challenging the order. Trump's executive order, signed Friday, halts the Syrian refugee resettlement program for 120 days and prohibits citizens of seven predominantly Muslim countries from US entry for 90 days. “This [ban] is bad in itself but the way it was implemented, it didn’t look like the United States looked like it knew what it was doing,” Schumer said.